Pearl Jam paid tribute to the late Chris Cornell and their punk rock roots with a series of guest appearances and covers during the second of two shows at Seattle’s Safeco Field on August 10. 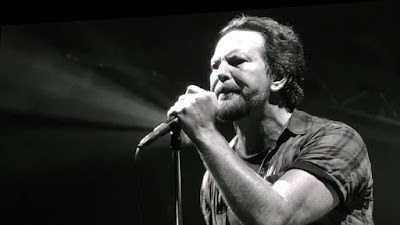 Following an August 8 show at the same venue, Pearl Jam’s 36-song performance also presented covers of tracks by Pink Floyd (“Interstellar Overdrive”), Tom Petty (“I Won’t Back Down”), Victoria Williams (“Crazy Mary”), and The Who (“Baba O’Riley”). Billed as “The Home Shows” with an effort to raise funds for local homelessness initiatives, the pair of events kicked off Pearl Jam’s summer US tour and was supported by an exhibit at the city’s Museum of Pop Culture (MoPOP) that explored the band’s 28-year history. Pearl Jam will next perform at Missoula, MT’s Washington-Grizzly Stadium on August 13 before a two-night stand at Chicago’s Wrigley Field (Aug 18 & 20) and a pair at dates at Boston’s Fenway Park (Sep 2 & 4).